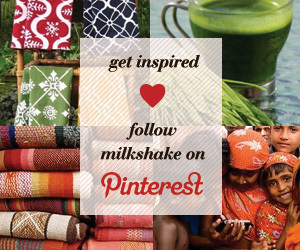 Milkshake | Good Finds That Give Back | Wherefore Art Thou? One-of-a-kind, Anthropologie-esque clothing made from vintage materials? Yes, please! Let's admit it: a lot of us love Anthropologie. Sure, some of its catalogs feature things like women pretending to type on hundred-year-old typewriters that clearly don't work, or having silent conversations with empty birdcages, but their stuff is just plain pretty. There's a poetic sensibility about their carefully-curated offerings, and that's part of why we like them. Those of us who just can't get enough of our beloved Anthro's goods need look no further than Where Designs for a more personal, partially vintage line of clothing sharing that same "what's simple is true" aesthetic we adore so much. Given the fact that the Richmond, Vermont-based brand run by Amy Wild calls itself "fashion for imaginative explorers of real and fantasy lands," we wouldn't be the least bit surprised if Wild's wares found themselves on Anthro's shelves someday. An important component of Where is its insistence on remaining conscious of its environmental impact: instead of calling for the creation of new fabrics and notions to create the collection, Wild only uses vintage, antique and upcycled materials, steering clear of pollution and unfair labor practices. A brand that has its head in the clouds but its feet on the ground it strives to protect? Sign us up immediately.